The first established travel agency in Kassiopi, provides the finest service and facilities throughout Corfu. 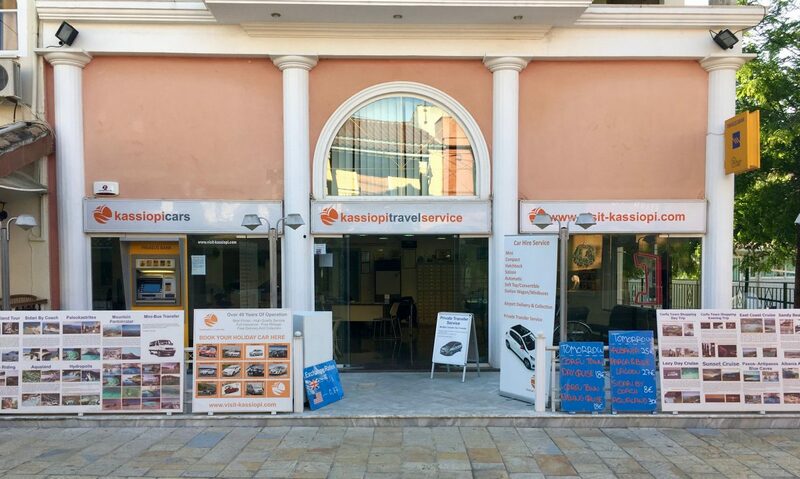 Kassiopi Travel Service was established in 1974 in Kassiopi by Spiros Koutsouris and Spiros Sarakinos and was the first travel agency in Kassiopi and one of the first travel agencies of Corfu. In May 1998 Spiros Sarakinos sold his share to Dimitris Koutsouris, and since then the two active members of the company are Spiros Koutsouris and Dimitris Koutsouris. All these years we have been dealing with all the aspect of inbound and outbound tourism and we can offer you fantastic opportunities to discover the island of Corfu and take home some unforgettable memories!! We pledge to provide the finest service and facilities for our guests who will always enjoy a warm and relaxed stay here.